Tyler Hall, located on the Sunken Gardens in between James Blair Hall and Tucker Hall, was formerly named Rogers Hall and later Chancellors Hall before receiving its current name in 1988. As of fall 2014, Tyler Hall is currently unoccupied while under renovation. The building was planned as a science hall in memory of William Barton Rogers and as a replacement for the Penniman Building. The cornerstone was laid August 28, 1926 and the building opened in the fall of 1927 and housed the chemistry, physics, and psychology departments. Tyler Hall was renovated in the summer of 1980 for the School of Business Administration. In 1985 the basement was renovated to house the Professional Resources Facility, a research library, and office space. 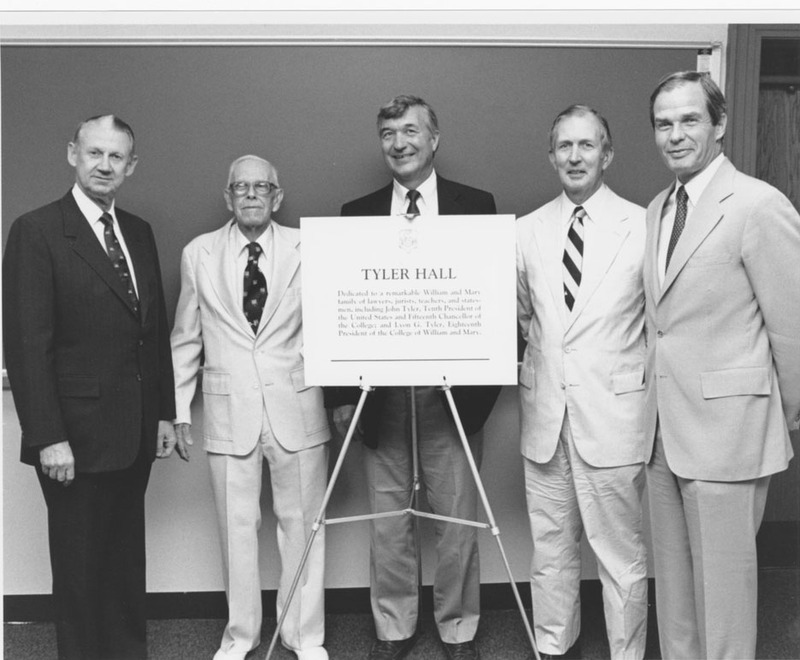 On June 24, 1988, the building was rededicated as Tyler Hall. The Departments of History, Philosophy, and English have all been housed in Tyler at some point in its history. The School of Business left Tyler Hall in July 2009 to move to its current location in Alan B. Miller Hall. 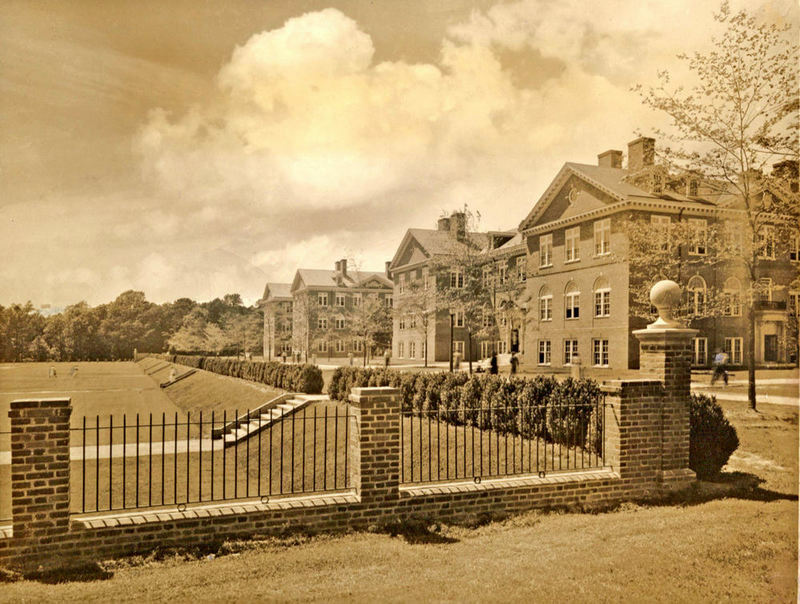 Tyler Hall and the Sunken Garden, undated: An undated photo of Tyler Hall and James Blair Hall along the Sunken Garden. ~ Source: University Archives Photograph Collection, UA 8. ~ Creator: College of William and Mary. 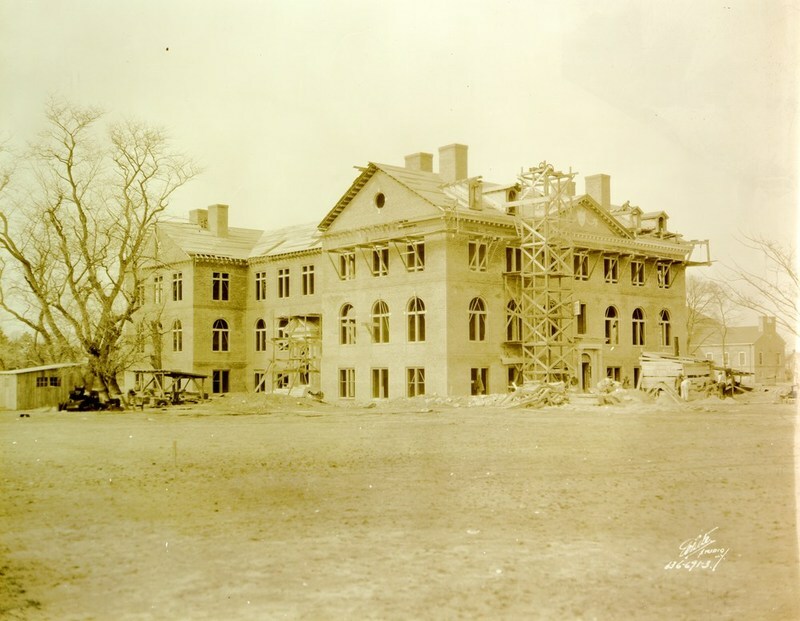 Chancellors Hall under construction, 1927: Chancellors Hall (formerly Rogers Hall and currently Tyler Hall) under construction in 1927. ~ Source: University Archives Photograph Collection, UA 8. ~ Creator: College of William and Mary. 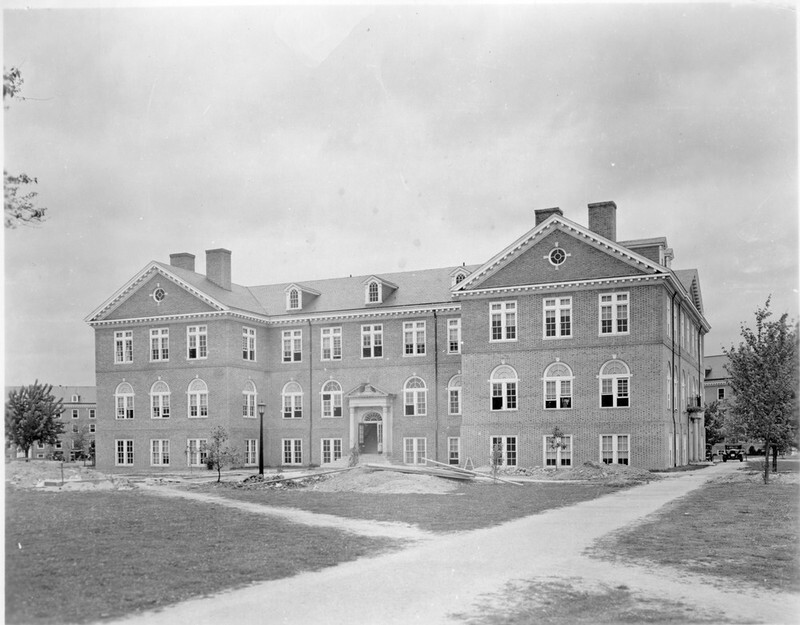 Chancellors Hall, circa 1935: The southeast facade of Chancellors Hall, now known as Tyler Hall, circa 1935. ~ Source: University Archives Photograph Collection, UA 8. ~ Creator: College of William and Mary. 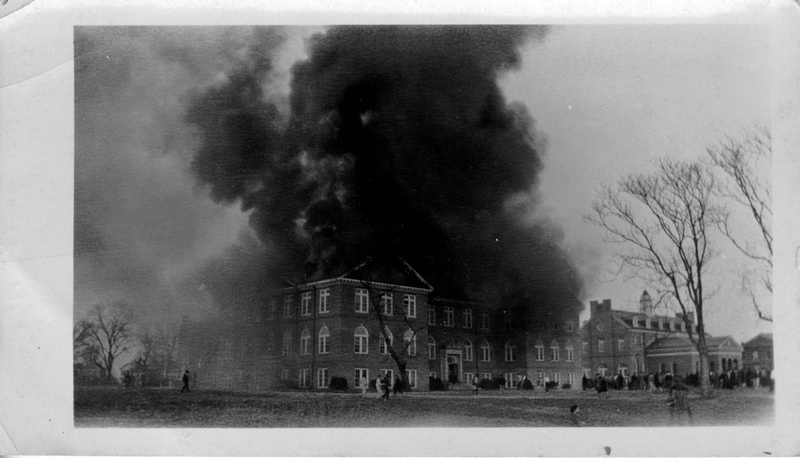 Chancellors Hall fire, 1930: Photograph of the south-west of Chancellors Hall, now Tyler Hall, during the March 15, 1930 fire. ~ Source: University Archives Photograph Collection, UA 8. ~ Creator: College of William and Mary. 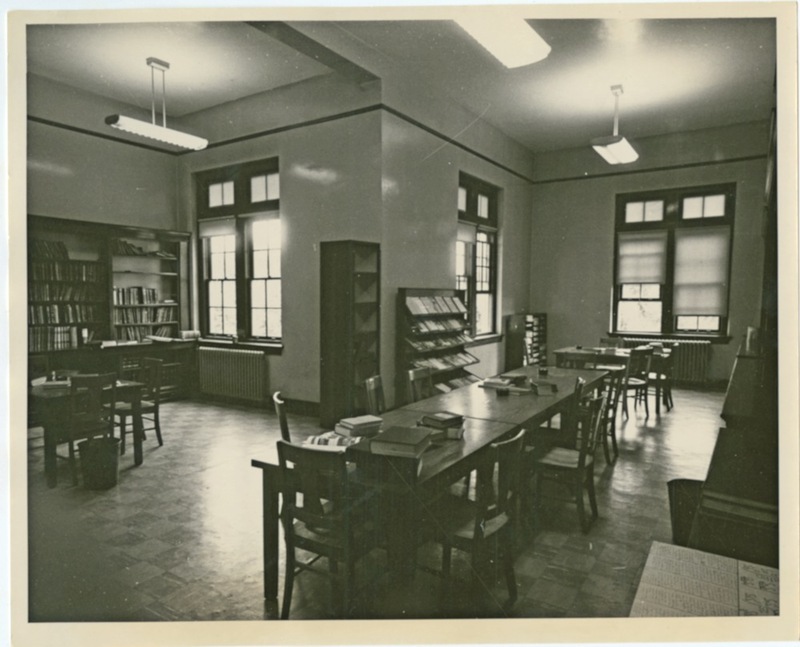 Chemistry Library in Chancellor's Hall, undated: An undated photograph of the Chemistry Library on the second floor of Chancellor's Hall, now Tyler Hall. ~ Source: University Archives Photograph Collection, UA 8. ~ Creator: College of William and Mary. Tyler Hall Dedication, 1988: An image from the dedication ceremony of Tyler Hall in 1988. William & Mary President Paul Verkuil is on the far right. ~ Source: University Archives Photograph Collection, UA 8. ~ Creator: College of William and Mary. Photograph of a portait of Lyon Gardiner Tyler, undated: Photograph of a portrait of William & Mary President Lyon Gardiner Tyler. 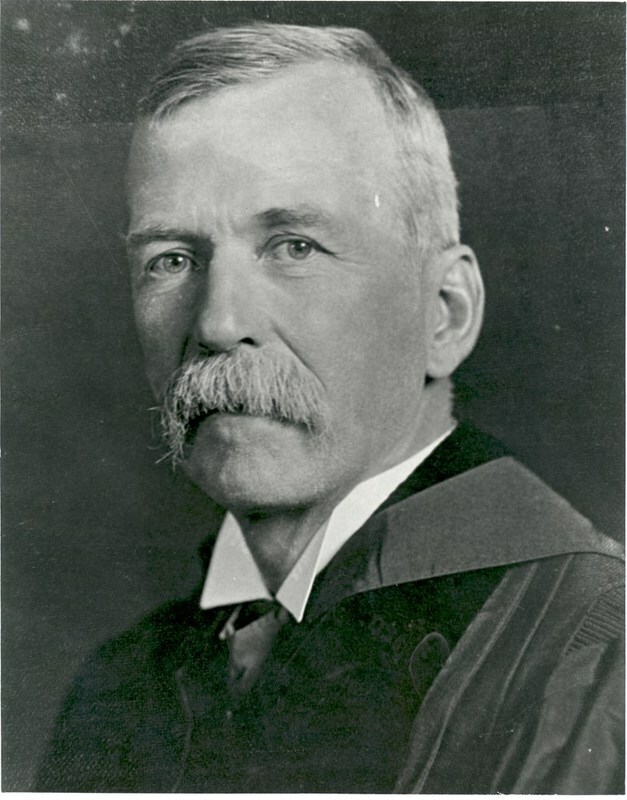 Tyler served as president from 1888-1919. ~ Source: University Archives Photograph Collection, UA 8. ~ Creator: College of William and Mary. 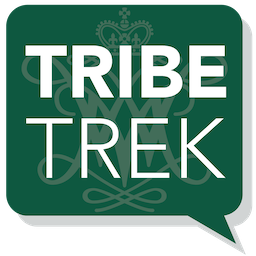 Special Collections Research Center, Swem Library, College of William and Mary., “Tyler Hall, Constructed 1926-1927,” TribeTrek, accessed April 26, 2019, https://tribetrek.wm.edu/items/show/8.